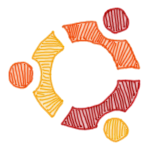 Only a few hours before the new Ubuntu version is going to be released. It brings some major advantages to the awesome Unity GUI and a lot of improvements under the hood. Of course, no need to say, that you should always backup all important data before you make an update for being on the safe side. If you have all your important stuff on another partition or drive, you could skip that. It will not be touched as long as no partition is changed. If you have paranoid mode enabled :) back them up on a removable harddrive and unplug it before you start the update. Updating to the latest version is a breeze. But if you didn't set the right options you will not even see that there is an update available. Here is how you can enable it. Open the Update Manager, and click on "Settings". Open the "Updates" tab and make sure that under "Release upgrade" you select "Normal releases" from the drop-down menu. Then close the window, and click on "Check" in the Update Manager window. After some seconds the new distribution update will show up in the window. Note that at the time I wrote this, the update was not available, but it should be available in some hours. Select and be prepared to grab a coffee or tea. It can take a while now. After the reboot you have the new system. I know a lot of people saying that you should make a clean install instead of updating. Under some circumstances it's recommended. But I updated my Ubuntu now 3 times in a row without doing a new installation, and it works great. The system is meant to be upgraded like that. You can save a lot of work if you just make the official update. If you feel that the system jerks in any way, you can still make a fresh installation.